Sweet Treat Queen Gretchen Fantini started her journey selling deliciously beautiful cupcakes at the Piazza at Schmidt's Farmer's Market. 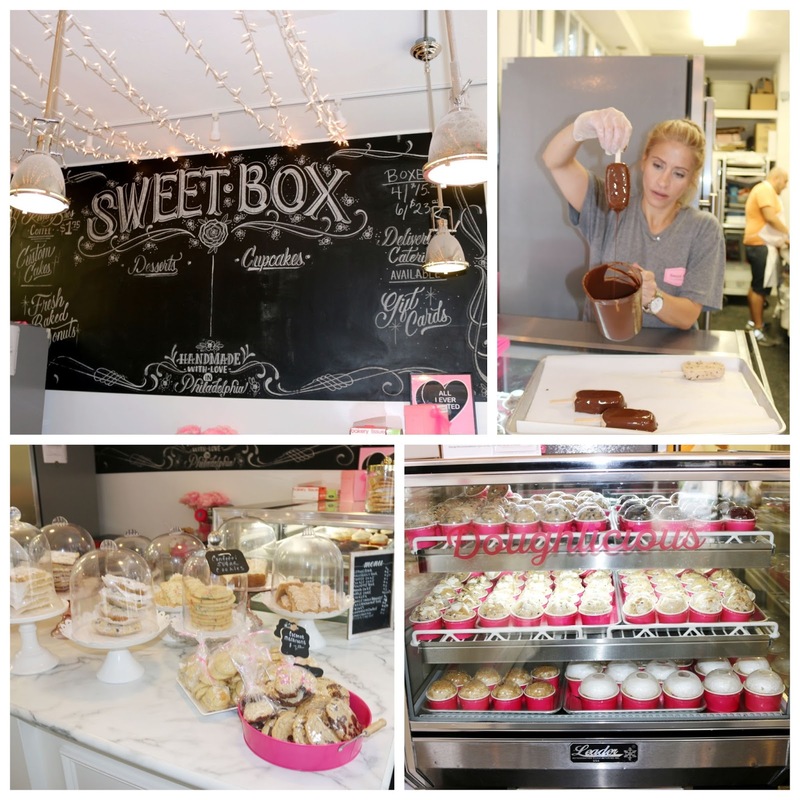 Soon after, she had great success with her award-winning Sweet Box Cupcake Truck, which led to the opening of her Sweet Box Bakery on 13th Street. At this brick-and-mortar location, she's selling a variety of treats including cookies, lemon bars, cakes, and of course, cupcakes! 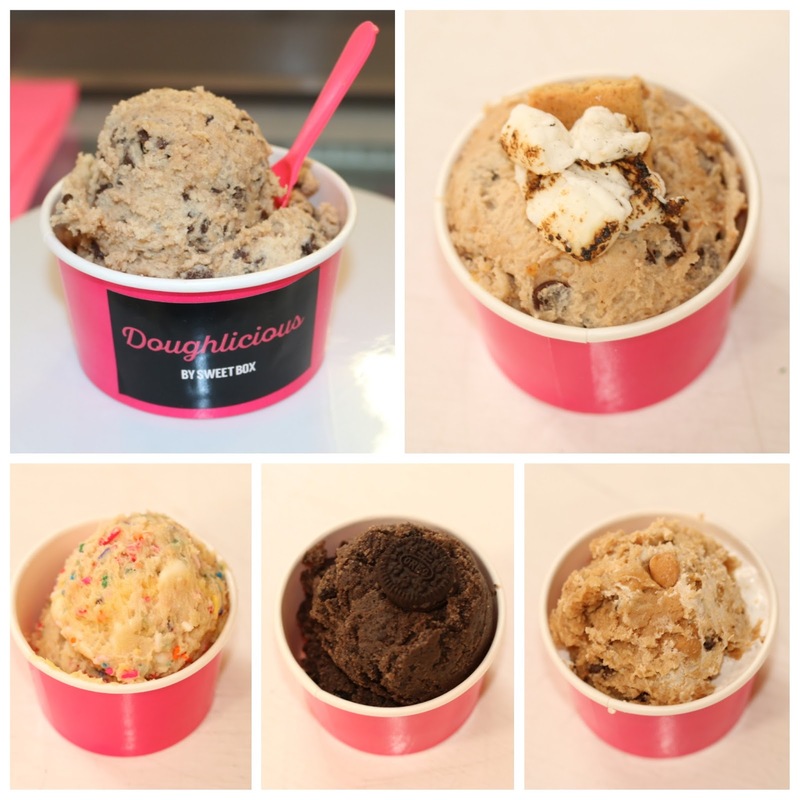 And rather than rest on her candy-coated laurels, Fantini decided to introduce Doughlicious, a new line of edible cookie dough! Top Right: Owner Gretchen Fantini dipping up some O.G. Cookie Dough Pops! Doughlicious contains no raw ingredients so it's completely safe to eat! The genius creation includes a lineup of six flavors, including the O.G., Campfire, Birthday Cake, Cookies-n-Cream, Cheesecake, and Peanut Butter Fluffalicious. They're priced at $5 for a small scoop and $7 for a large. Assorted toppings will also be available for the scoops, which will be served with a shot of milk. Pre-game with cookie dough scoops and milk shot chasers anyone? Clockwise from Top Left: The O.G., Campfire S'mores, Peanut Butter Fluffalicious, Cookies-n-Cream, & Birthday Cake. While they were all delicious, I'd personally recommend the Birthday Cake and Peanut Butter Fluffalicious flavors! Birthday Cake features a classic cookie dough, white chocolate chips, and a fantastic cake batter swirl that will make you want to ... twirl (yea, I went there). Peanut Butter Fluffalicious has the salty sweet flavors you desire, with peanut butter chocolate chips to add texture and marshmallow fluff to add a smooth, sweet richness to each bite. Psst. Want to go over-the-top? 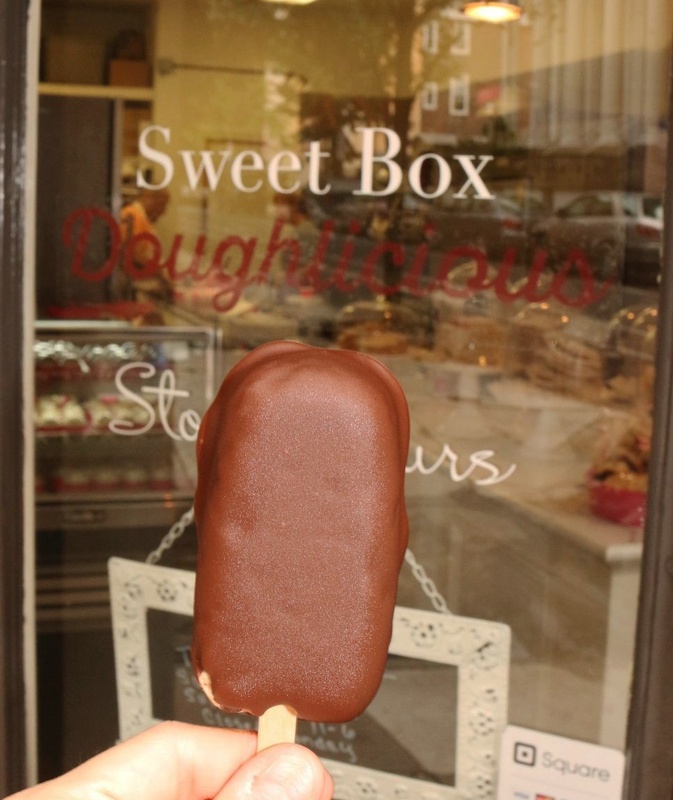 Ask for the chocolate-covered pop, which comes with the O.G. cookie dough in the middle! And at $5 a pop, it's a steal! So be sure to stop by - Sweet Box Bakery is open till 7PM Tuesday through Saturday and 6PM on Sundays! FTC Disclaimer: Thanks to Sweet Box Bakery & Bondfire Media for hosting me. Regardless, my opinions are mine alone and, therefore, unbiased.